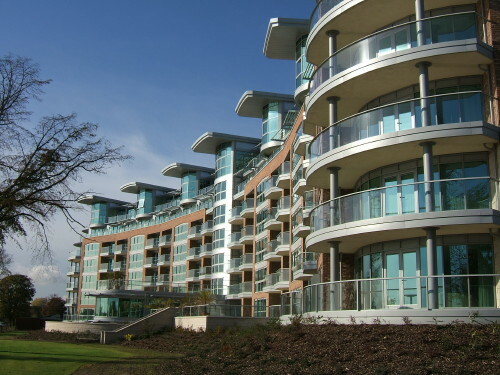 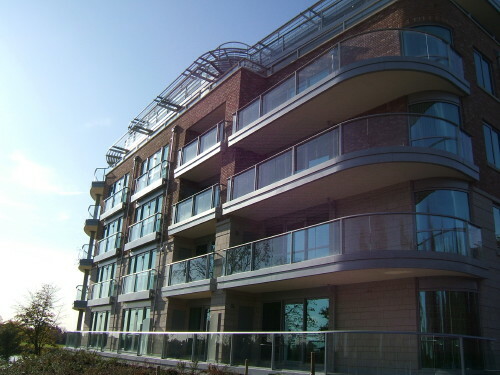 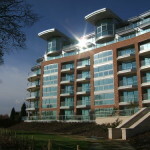 External balconies have become an appealing feature of Nottingham’s prestigious apartment building that sits on the banks of the River Trent by the woodland beauty in Colwick Country Park. 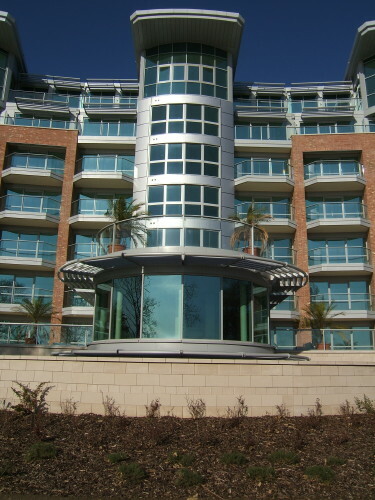 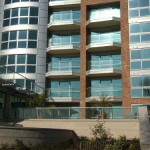 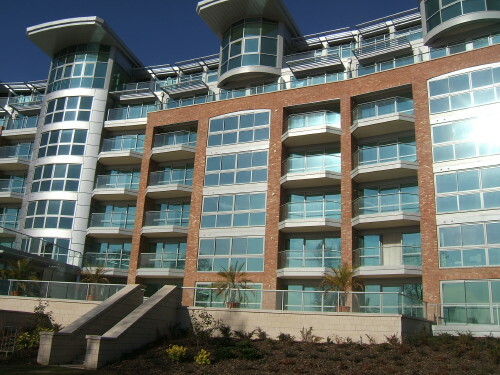 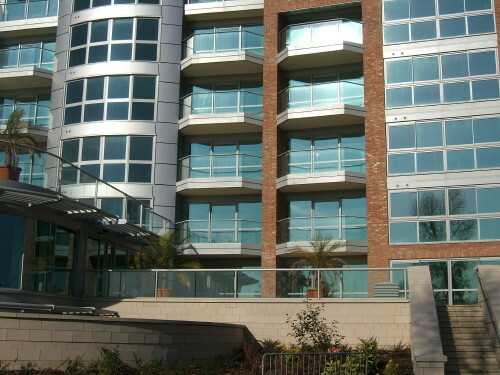 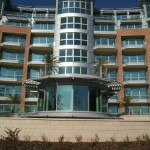 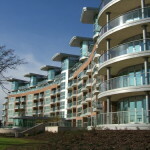 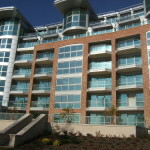 Hundreds of metres of aluminium and glass were supplied by Balcony Systems. 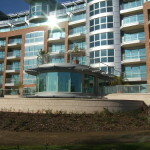 Glass balusrading plays a key role in a buildings visual appeal and helps to secure sales. Modern balcony styles retain clear panoramic views of surrounding area. 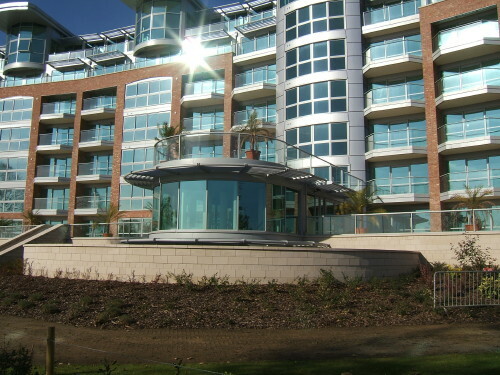 The residents enjoy convenient access to fresh air and surrounding views. 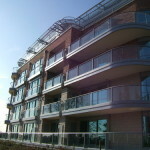 Curved glass balconies follow the building’s rounded lines and enhance light through the full height appartment windows. 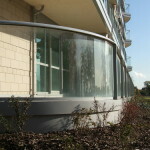 Innovation in balcony design has resulted in an elegant and cost-effective system available on the British market. 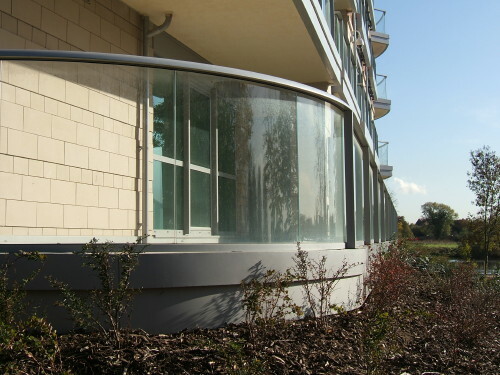 Glass and aluminium are low-maintenance materials that require almost no regular maintenance to keep the structure looking as good as new. 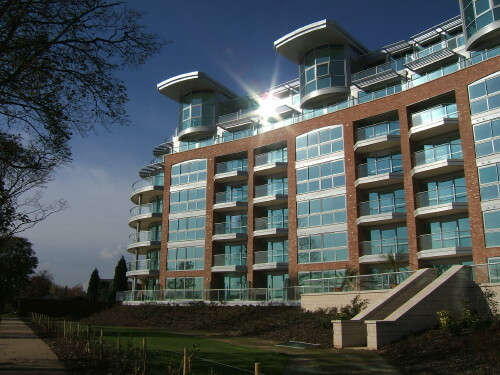 The Trent Park development has won a series of high-profile industry awards: accolades from the Daily Mail Awards for Best Architecture, Best Apartment and Best Development, Your New Home Daily Telegraph Award for Best Waterside Development. 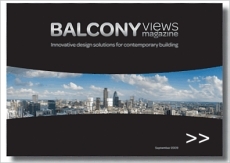 This entry was posted in Projects on November 6, 2013 by Balcony Systems.